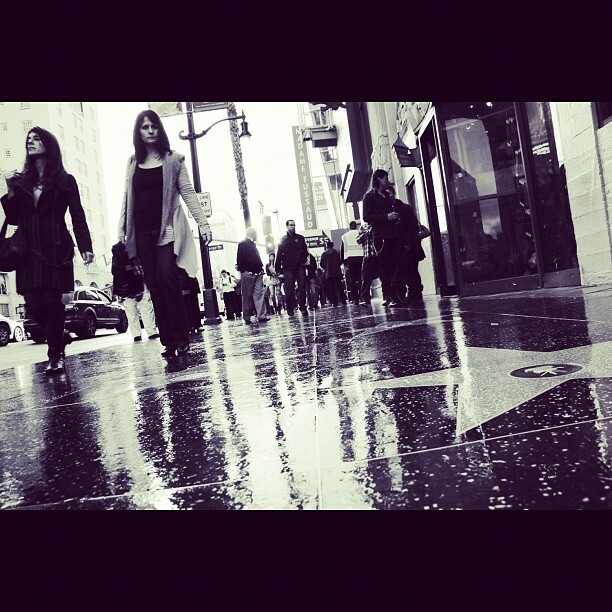 Last month, French student Christian Ly won our #KaplanExperience Instagram competition with his photo of Hollywood Boulevard. We loved his photos so much, that we decided to ask him a few questions about his time at Kaplan and what he loved the most about studying in Los Angeles. What made you choose Kaplan Los Angeles Whittier? Firstly, I chose Kaplan Los Angeles because I’ve always dreamed of traveling to America. It’s a completely different country than any other in the world and Los Angeles is a place where dreams can come true. Secondly, I have family in California, so I also have the opportunity to spend time with them. It was hard to choose between the Whittier and Westwood, but I really liked the video posts about the Whittier College on YouTube. Which English course did you chose and why? I chose General English because I have a fairly good level of English already. I came for both personal and professional reasons. I’ve always wanted to live in America, so maybe I’ll be able to use my English skills in the future in my career! What do you like the most about the course? The rule at the school is to always speak English and I love that we’re encouraged to speak it even if we make silly mistakes. The teachers are really fun and friendly and they are always ready to help. My English has steadily improved in three months. My speaking has improved the most, and I am more confident in speaking English all the time. My vocabulary has improved too. Which accommodation did you chose; homestay or student residence? I chose student residences. I like being free to do what I want in my own time. The residence is really close to the campus, so I don’t have to take public transport to school. The residence has American students staying there, so I have been able to make friends with them and speak in English. Why should students chose to study at Kaplan Los Angeles? 1) LA Whittier is one of the only campuses where you can mix with American students. 2) It is sunny 95% of the year! 3) LA Whittier is 30 minutes away from Hollywood, Beverly Hills and Universal studios. 4) You are close to big cities like Vegas, San Diego, San Francisco and Mexico! There’s also the Grand Canyon. 5) The staff at LA Whittier is fantastic. They are always there to help. 6) The campus is really safe and secure, it’s pretty, and it has great facilities, including a cafeteria, a library, a football pitch, a swimming pool, and other sports halls. What advice would you give future students at LA Whittier? Make the most of campus life. There is so much to do. Speak to as many people as you can, don’t be afraid to make mistakes, no one will get mad at you. Which social activities have you taken part in? I try to participate in as many activities as possible. There has been a potluck barbeque, a special Olympic Games ceremony and cinema trips. My favourite time was Halloween; everyone dressed up and we had a huge party! What is the nationality mix like in your class? Have you made good friends? In my class there are five nationalities; Colombian, Korean, Japanese and Chinese. I’ve tried to talk to as many people as possible, so I have made lots of friends. In one sentence, how would you describe your time at Kaplan? My Kaplan Experience has been the best experience of my entire life!